It may surprise you to find only two brands here. There is a reason for that. We have used a lot of pellet smokers/grills. The issue is that very few of them have any temperature range to speak of — about 180 to 400 degrees is usually the norm. They are immediately at a disadvantage as a smoker because they are made of metal and they don’t usually have a very powerful firebox. They aren’t able to get into higher temperature ranges because of the same reasons. Our experience so far is that there are 2 types of pellet smokers out there non-insulated and insulated. Louisiana Grill. So purchase the model 700 for only $799.00 and then upgrade it to a full fledged competition pellet smoker if you want to. 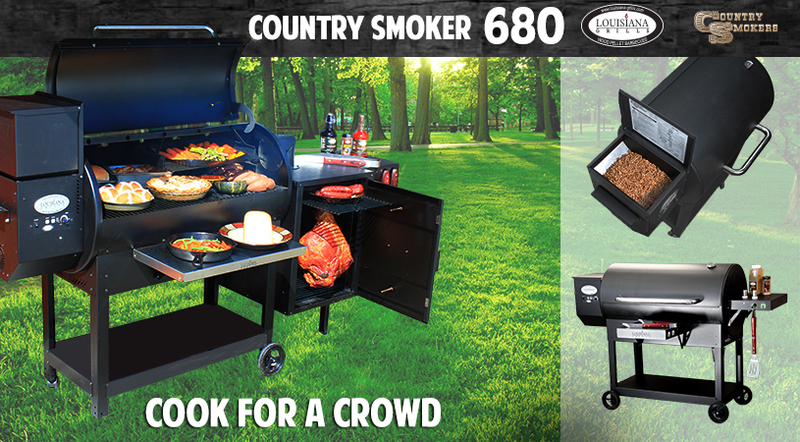 If you go with the other brands you’ll be purchasing a new smoker to get these upgrades. Available is 3 sizes the Louisiana Grill is the economical way to join the fastest group of backyard and professional grillers, the pellet heads. design and the automated temperature control is unparalleled. Most pellets have an electronic ignition that is timed, it stays on for 4 minutes then hopefully the grill is lit because it turns off. The Memphis is monitoring the temperature and essentially it gives the grill 15 minutes to start, when the oven temp exceeds 180 degrees the controller turns the electronic ignition off because there is no way the oven could have gotten that hot without the firebox being thoroughly lit. Why is it limited to 15 minutes? Research has proven that if that oven box isn’t up to temp in 15 minutes something is wrong and you don’t want the electronic ignitor to get so hot it harms itself. 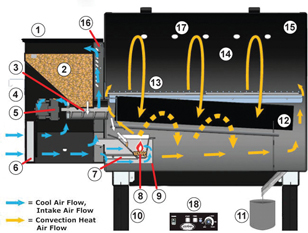 The automatic temperature control contains a very smart algorithm that monitors oven temperature by the second and can change the drop rate of the pellets or the fan speed instantly so that regardless of outside conditions, rain, wind, snow, bright sunny day the internal oven temperature is always exactly what you selected. The Memphis even includes an internal meat probe and can be programmed to drop the oven temperature to 180 degrees when the internal temperature of the meat hits the target you selected. If you have read our site thoroughly you know that we are serious about US Made product, especially when it comes to grills. This grill is made is the USA and the quality of the Stainless and the technical support behind the grill is outstanding. Jim Burg of Team Killer B’s currently in the top 10 KCBS teams in the world. Local success stories are pretty strong too. Of our cooking teams 3 of the our 4 teams use Memphis in competition and Chris & Kathy Fulmer (team Ultimate Tailgaters) even used the grill/smoker at the World Championships in Las Vegas last year. 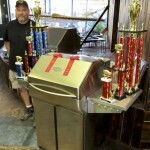 Jim Burg of Team Killer B’s has won the SBN BBQ team of the year 3 years in a row on the Memphis and is the top 5 in the world as I write this in the KCBS standings (there are over 5,800 KCBS teams total). 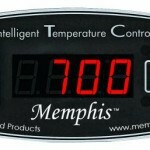 The Memphis is more expensive than the others, it is well worth the difference and is just as good at 200 degrees as it is at 700.